Step 1 - The hackers gain control of your computer through various different methods. Step 2 - The hackers disable your computer(s), server(s) remotely or they encrypt all your data. Sometimes they even get your backup files. Step 3 - You will then receive a ransom email from the hackers demanding payment in Bitcoins. Step 4 - Even if you pay, there is no guarantee that they will fix the problem. You can bet, they will be back in the future to try again. Ransomware is computer malware that installs covertly on a victim's device (e.g., computer, smartphone, wearable device) and that either mounts the cryptoviral extortion attack from cryptovirology that holds the victim's data hostage, or mounts a cryptovirology leakware attack that threatens to publish the victim's data, until a ransom is paid. Simple ransomware may lock the system in a way which is not difficult for a knowledgeable person to reverse, and display a message requesting payment to unlock it. More advanced malware encrypts the victim's files, making them inaccessible, and demands a ransom payment to decrypt them. The ransomware may also encrypt the computer's Master File Table (MFT) or the entire hard drive. Thus, ransomware is a denial-of-access attack that prevents computer users from accessing files since it is intractable to decrypt the files without the decryption key. Ransomware attacks are typically carried out using a Trojan that has a payload disguised as a legitimate file. Call us today and we will send out our technician to help you repair your system, upgrade your system or make a action plan to prevent this from happening again. ransomware attack | Computer Geek 5 out of 5 based on 103 user ratings. The computer geeks are a professional IT company specializing in Ransomware attacks. 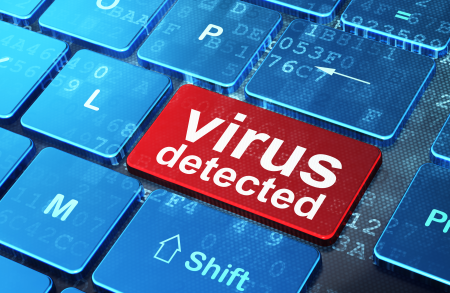 We will remove and clean all kind of Viruses, Trojans, Ransomware and Spyware from your home, office PC computers or servers.